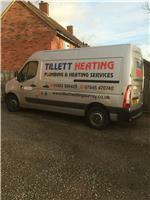 Tillett Plumbing & Heating Ltd - Central Heating Engineer, Plumber based in Guildford, Surrey. Welcome to our Checkatrade page and thank you for taking the time to look into our details. Tillett Plumbing & Heating has been established for many years, offering quality advice and services in the following areas: Surrey, Hampshire and South West London.